Many people associate robots solely with STEM (science, technology, engineering, and mathematics) careers. As time passes however, more than just these fields use robots. They’re used in treatments for a variety of difficulties. For example, they help kids with autism spectrum disorder develop social skills. Nursing homes introduce robots as companions for residents. They’re being introduced into treatments for disorders such as anxiety and depression. Physical therapists are even using robots. The focus for today will be how robots, especially robots equipped with artificial intelligence (AI), can be an emotional support animal (ESA), a psychiatric service animal (PSA), or both. An emotional support animal (ESA) is any animal that provides comfort for someone who needs it simply by being with that person. Training isn’t required for an ESA to receive a certification. Any pet can be certified as an ESA no matter their age or species or breed. A mental health professional simply needs to write a letter explaining why the owner needs an ESA. Psychiatric service animals are different. A psychiatric service animal (PSA) must be professionally trained and certified as a PSA. Their main task isn’t to provide emotional support, though that could come from being there with their owner. In order to qualify for a PSA, the mental disorder of the owner would have to be more debilitating and affect the quality of life. Also, public places are more likely to allow PSAs on the premises than ESAs. There is still a possibility in some countries that a PSA won’t be allowed. That possibility is higher with an ESA. There are great aspects about having a living animal there to provide comfort. You can feel their breath and heartbeat. They seem to listen to you when you talk to them. However, as technology and research advances, the possibility and occurrence of robots taking the place of these living animals increases. A simulated heartbeat at a typical rate gives robots the feel of an actual heartbeat. Making the chest of the robot rise and fall can simulate breathing. 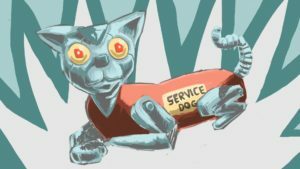 AI gives the ability to specialize and personalize robotic pets to treat someone in the best way for them. Animals have trainability, but when it comes down to it, they still have genetics and personalities that can interfere. AI and programming would allow the engineer to build the personality of the pet from the ground up and to have a lot more control over it. Robots would also be able to combine the aspects of an ESA and a PSA. The robotic pets could be built in a way that would provide comfort, such as having fur like a dog or cat, and the ability to purr and cuddle. They could also be programmed to perform tasks such as getting medication for their owner or leading them out of a situation that could trigger an episode. 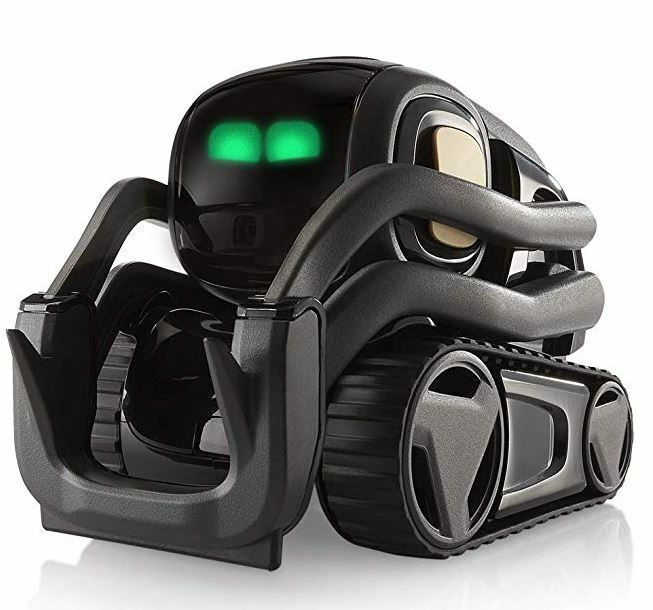 Introducing robotic pets into this field would give an opportunity to get the best of both worlds without any of the downfalls. How Would an AI Robot Be Better? Some of the downfalls of having an animal in the role of support and service is that they require care. Sometimes, the people who need these animals can’t give them the care that they need. They could have days where they aren’t able to get out of bed, and that would be detrimental to the survival of the animal, but a robot wouldn’t have this problem. They wouldn’t require any kind of care from the owner. On the other hand, if the aspect of caring for the animal is something that is key to the recovery and treatment of the owner, the engineer could create the robot with this in mind. This demonstrates the customizability of robots in this field. The robot could get the owner out of bed to give it water or food. This way, they can find some motivation to do something beneficial to get out of a slump. ESAs and PSAs also suffer from being banned from public spaces. They could cause disruptions, attack other people, or make a mess. Robotic pets wouldn’t cause the same problems. They would behave and be less unpredictable. The way they behave comes from both their programming and AI, which acts slightly differently from the way that a living animal’s mind works. Since robotic pets wouldn’t cause the same issues as a living animal, they would be allowed practically anywhere. This means that the owner would have their support and service available wherever they chose to go, which could greatly help them in recovery and treatment. They wouldn’t have to worry about going somewhere that worries them without having support. Also, robotic pets would be allowed to live in any space, because they wouldn’t be noisy, and they wouldn’t make a mess. These robots are already incorporated into some therapeutic treatments. PARO, a robotic seal, helps seniors in assisted living with diseases such as dementia and Alzheimer’s. It gives them comfort and helps them find some happiness. Aflac has created a robot duck for children going through chemotherapy. It can express emotions along with the children, such as feeling sad or happy. The duck comes with a fake PICC line. This is attached when the children go through treatment so they can go through it at the same time. For now, these kinds of treatments with robots would only be part of treatments led by a doctor. While a doctor will likely stay as the control behind the treatment, as technology and AI advance, more forms of treatments can incorporate robots into more aspects. Someday, robots could be there to help us all.